19-year-old Alex Staniforth was climbing the mountain when the landslide was triggered by the Nepal earthquake. He spoke to Tony Morris and Lucy Meacock in our Media City studio about his journey. 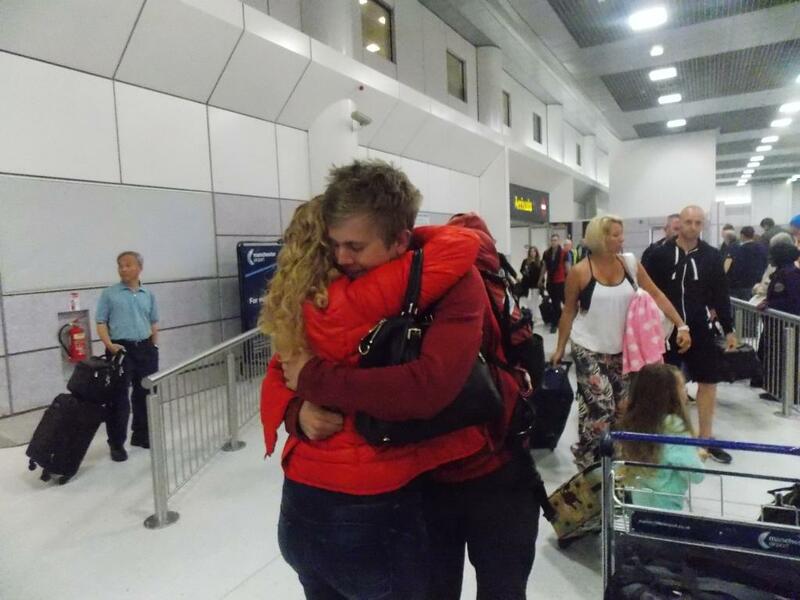 A teenager from Cheshire who was caught in an avalanche on Mount Everest has returned home. Alex from Chester, was at Camp 1 on the world's highest peak when the devastating quake hit. Manchester Cathedral has set up a prayer station to remember those affected by the earthquake in Nepal. A UK appeal for disaster victims has raised more than £19m and the Nepalese community in Manchester, the largest outside London, have also been gearing up their relief efforts. Meanwhile, Cheshire fire fighters have arrived in the region as part of an International Search and Rescue Team. The team is searching for survivors in the capital, Kathmandu. A major effort is getting underway across our region to help the survivors of the earthquake in Nepal. Volunteers are giving their time and money after thousands of people were killed and many more were left injured and homeless. Meanwhile many families here are desperately waiting for news of loved ones caught up in the disaster several thousand miles away. A British climber has told of his terror as huge crevasses opened up around him and chunks of ice and snow threw him to his knees as he scaled the slopes of Mount Everest. Alex Staniforth was with an expedition group climbing the mountain when a powerful earthquake hit Nepal, triggering an avalanche which claimed at least 18 lives - including three of the group's Nepali guides. In an official statement released today, he revealed he believed he would be buried alive. I was in the icefall when the ground shook; the same force that released huge avalanches full of rock/landslides... I couldn't run due to huge crevasses surrounding me. I was blinded, thrown to my knees, suffocated by what felt like a snow cannon. I thought this was it - I was going to be buried. The avalanche trapped many of the 350 climbers on the mountain at the time, but clear weather has meant helicopters have now been able to rescue everyone. My team are now safely back at base camp after being evacuated from Camp 1 this morning, as the icefall was impassable due to the earthquake. 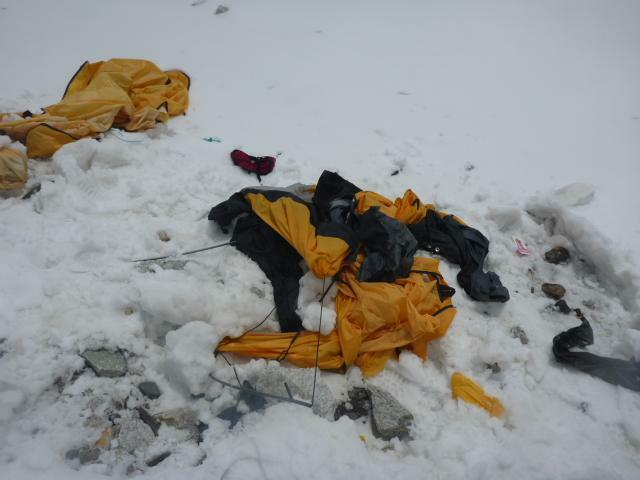 Tragically three of our Nepali staff were killed at base camp and I am hugely saddened by their loss. They are very much in my thoughts and I am very lucky to be alive. He said he will be staying for a few days to help with the clean-up at base camp, and is due to return to the UK later this week. A Lancashire charity which runs a school in Nepal has appealed to help as it supports the earthquake recovery effort. Bryn, Cheshire Fire Service's search and rescue dog. Credit: Cheshire Fire Service. A team of firefighters from Cheshire have set off to help in the aftermath of the devastating earthquake in Nepal that has killed thousands of people. Six Cheshire staff and a rescue dog are joining a 67-strong International Search and Rescue Team. Mark Coleman, based at the Service’s Headquarters in Winsford. Alexander Hayes, based at Crewe Fire Station. Stuart Deveraux, based at the Service Headquarters. John Turner, based at Chester Fire Station. Daz Tennant, based at Chester Fire Station. Steve Buckley, based at Knutsford Fire Station. The Service's search and rescue dog, Bryn. Find out more about Alex Staniforth's story here. The names of a number of people from the North West missing in Nepal after a devastating earthquake over the weekend have been released. The Red Cross say 90 British people are unaccounted for - 6 of those have been identified as coming from our region.